Expressing the Tuscan soul of Anonimo, the new Militare Chrono honours the bronze work done on the brand’s Florence workshops, while combining it with Swiss watchmaking expertise. Like the statues adorning Italy’s most beautiful squares, everything begins with a block of solid bronze that the artisans sculpt until a particularly hard and scratch-resistant watch case emerges – ready to welcome a fine Swiss mechanism. An automatic movement powers this elegant chronograph set to become a new brand classic, with its emblematic 12 o’clock crown. 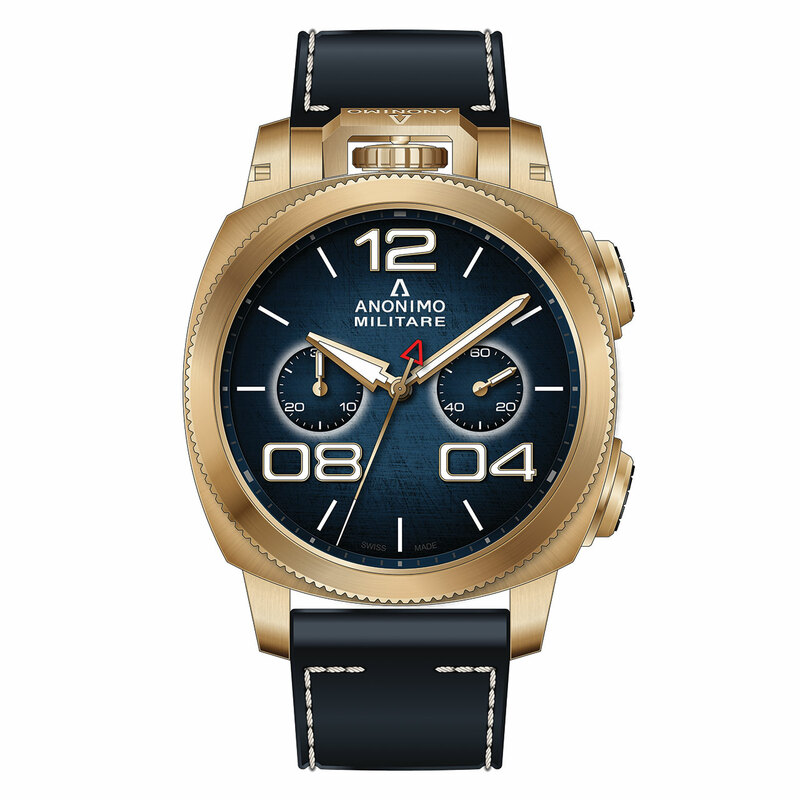 Perfect readability is ensured by counters elegantly arranged on a midnight blue dial providing a perfect backdrop for three large stylised numerals.